 Geneva, Switzerland- April 3, 2019: WISeKey International Holding Ltd (SIX: WIHN), a Swiss based cyber security and IoT company, today announced the acquisition of a 22% interest, through a multi-million USD transaction, in Tarmin Inc. (“Tarmin”), a Boston, Massachusetts based leading pioneer of Data & Software Defined Infrastructure delivering a massively scalable, transparent and unified approach for consistent data management, storage, retention, security and search across cloud and traditional storage infrastructure. This strategic investment allows WISeKey to integrate Tarmin’s GridBank Data Management Platform technology into the WISeID.COM addressing key challenges associated with storing, managing and gaining value from massive amounts of data for the long term. Data volumes are growing exponentially, increasing costs and driving greater regulatory risks, while creating opportunities to gain actionable insights from business-critical information. Data and Software Defined Networking (DSDN) market share is predicted to grow over USD 88 billion by 2024; according to a new research report by Global Market Insights, Inc. DSDN, an emerging network technology is transforming networking architecture. DSDN is used by airlines to isolate the network control plane from the data plane and is directly programmable. DSDN modifies the individual network devices into the accessible computing devices enabling the underlying infrastructure to be abstracted for network services and applications, which allow the network to be treated as a virtual entity. DSDN enables the network to be a competitive differentiator for enterprises and carriers, not just an inevitable cost center. It offers several benefits, such as high bandwidth, capabilities to cope with the dynamic nature of the advanced application and reduction in operational & management complexity that is augmenting its demand in the market. The increasing adoption of the cloud services and IT convergence is one of the primary factors that is driving the growth of the market. Over the past five years, a rapid surge in the adoption of cloud services has been witnessed. It is driven by its capabilities to provide enterprise wide array of resources they can utilize to scale, orchestrate, and support their operations. Cloud computing untethers the underlying infrastructure and applications, offering a level of dynamism that did not exist in traditional infrastructure. Furthermore, as the demand of cloud computing increases, it will increase the pressure on the network to cope with the flexibility, scalability and programmability of this virtualized model. This results in ample use-cases for DSDN and will fuel the demand for DSDN market solutions. Dynamic data management for exploding enterprise data stores utilizing a massively scalable converged grid approach. Scalable backup target providing full text content search, distributed deduplication, self-service restore & cloud-ready migration. Massively scalable, high performance, high availability, globally distributed platform for enterprise information archiving data. Next generation data management and storage solutions to jointly develop the WISeBox solution. 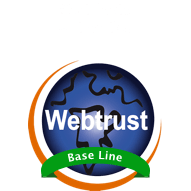 WISeBox is a Managed Cloud service that integrates with WISeKey Root of Trust (ROT), PKI and the Tarmin GridBank Data Management Platform. “We are excited about this new strategic investment from WISeKey and are confident that our combined customers will receive best-of-breed cybersecurity solutions with the full integration of the GridBank product suite,” said Shahbaz Ali, President and CEO of Tarmin. GridBank was developed to fulfill the unmet needs of data intensive organizations that experience challenges associated with accelerating data growth. GridBank’s revolutionary data centric approach allows organizations to effortlessly meet the performance and scalability needs required to manage massive data growth, while significantly reducing corporate risk through a comprehensive information governance framework and deliver business value from metadata with accelerated search, e-Discovery and analytics integration. GridBank integrates with WISeKey MPKI, utilizing TLS/SSL encryption. WISeKey attests to the authenticity of a web page and encrypts all data transfers across the internet. 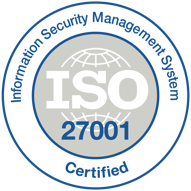 S/MIME certificates are used by individuals to sign, encrypt and authenticate e-mail, making e-mail communication secure and confidential. 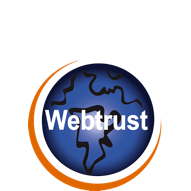 Users can trust that their digital communication, and sensitive content, is delivered to the intended parties safely and securely. 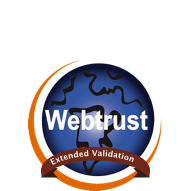 The Managed WISeKey ROT serves as a common trust anchor, which is recognized by all operating systems and applications to ensure authenticity, confidentiality and integrity of online transactions. With the Cryptographic ROT embedded on a device, the IoT product manufacturers can use code signing certificates and a cloud-based signature-as-a-service to secure interactions among and between objects and people. Tarmin Inc. is the leading pioneer of Data Defined Infrastructure solutions, which unlock the value of data as a strategic business enabler, delivering a massively scalable, transparent and unified approach for consistent data management, storage, retention, security and search across cloud and traditional storage infrastructure. Tarmin GridBank empowers organizations to store, control and understand the value of data as a competitive business asset, no matter its size, location or cost by uniting application, information and storage tiers into a single, integrated data centric management architecture. Visit www.tarmin.com for more information.